When Dr. Jane Foster lifts the mystic hammer Mjolnir, she is transformed into the Goddess of Thunder, the Mighty Thor! Her enemies are many - including Loki, Malekith and Roxxon - as Asgard descends further into chaos and unrest threatens to spread throughout the Ten Realms. Yet her greatest battle is against a far more personal foe: the cancer that is killing her mortal form. And as Asgard is torn apart from without and within, prepare for a Thor vs. Odin battle like none you've ever seen! 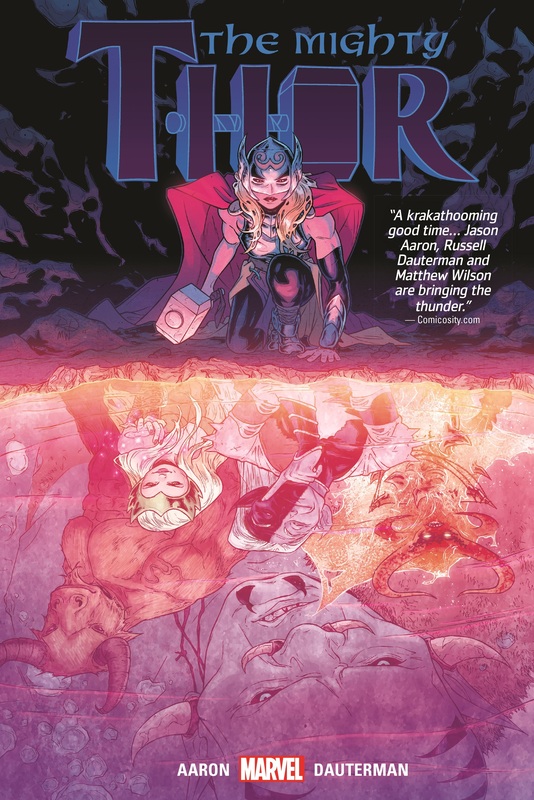 Plus, a tale from the past of the young Thor Odinson has hulking great implications in the present! Jane Foster is targeted by S.H.I.E.L.D.! Millions of lives may depend on Thor saving Roxxon's evil executive, Dario Agger! And, most staggeringly of all, discover the secret origin of Mjolnir! 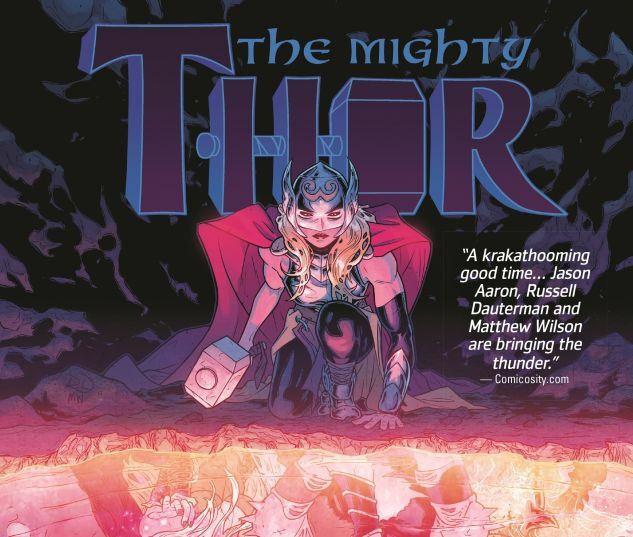 COLLECTING: MIGHTY THOR (2015) #1-12.